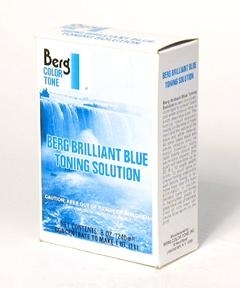 Berg Brilliant Blue Toner is used, in ordinary room light, to convert black and white prints or films to a rich, deep blue color. The toning result depends on the time of treatment and the nature of the black and white material. All silver-based black and white images may be toned; however more rapid toning occurs with warm-tone papers. Toned images are often reversible, either partially or totally, simply by redevelopment in ordinary print developer. The product has no offensive odor. Up to 50 8"x10" prints may be toned per quart. Berg Selenium Toner - 16 oz.